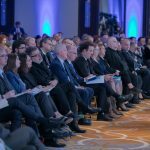 The three-day Belgrade Security Forum, with over 70 foreign guests that discussed different topics from energy security and the new role of Turkey, NATO and Russia in Europe to consequences of regime changes in the Middle East and recipes for successful regional security cooperation has been successfully finished. 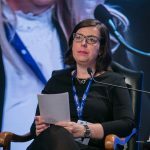 In her closing note, Ms. Sonja Licht said that the first Belgrade Security Forum “has taken place under very serious shadow, which you all are familiar with”, but that it also sent important message in order to inspire resolving of the actual problems in a peaceful way. 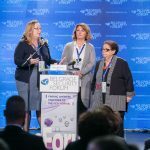 Ms. Licht called two young scholars who participated in the pre-event Academic Sessions of the Belgrade Security forum to give a final evaluation of this conference by answering on the two fundamental questions of the conference “Balkan and Global Security – what do we have in common, what set as apart?”. From the perspective of the things that “We have in common”, Mr. Sigurd Neubauer, foreign affairs specialist of the SOS International in USA, said that during the Belgrade Security Forum “we all learned a lesson about great amount of solidarity in finding peaceful resolutions in order to overcome conflicts”. 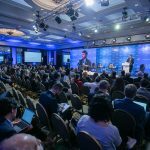 He underlined the importance of interconnectivity of wide range of issues and distinguished speakers during the Belgrade Security Forum. 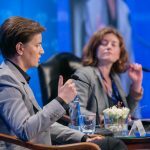 On the other side, Ms. Jana Bacevic stated that it is insecurity that was in common during the talks within Belgrade Security Forum. “Insecurity not as a threat, but as lack of clarity in defining of future steps and impression about what the scenario in the field of security would be like”, Ms. Bacevic said. She concluded that this event was a place to discuss and to try not only to give respond on different issues, but also to put them on the security agenda.